The bungalow is 33m² in size and features a living / sleeping area, a separate kitchen and a shower room with toilet. The bungalow is very cozy. The garden invites you to linger. The barbecue is ready for use. For children, a play area is in the garden. 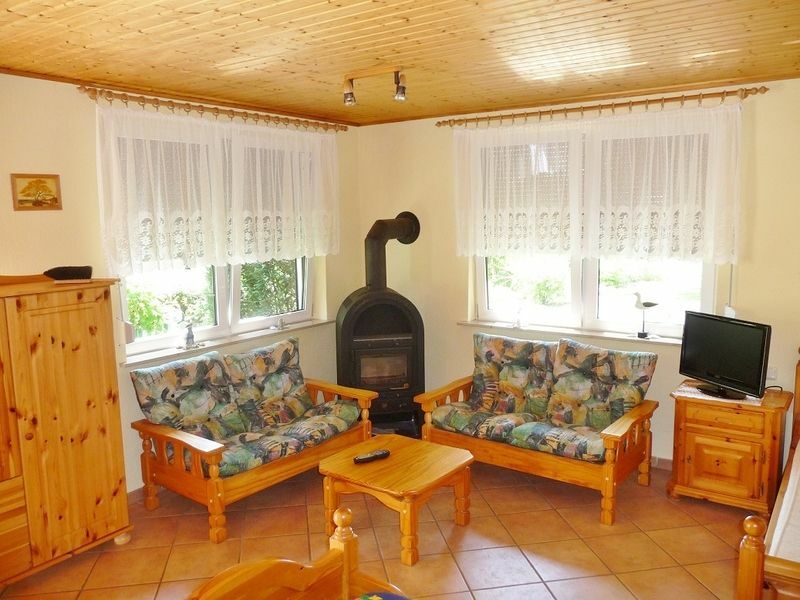 Not far from the Baltic Sea and the suburbs is our attractively furnished bungalow judge. It is located directly behind our house. A vast garden ideal for sunbathing and relaxation. A barbecue is available for use. Also for children is taken care of. The play area in the garden is intended for them a pleasure. A parking lot is located in front of the house. The tourist tax, which is due from 2018, is payable to the landlord. The amount is per person max. 1,50 € per day. Explore the "Amber City Ribnitz- Damgarten" with their special attractions and various leisure facilities. Ribnitz- Damgarten received 2012 State recognition to the resort and is also called "The Gateway to the fish farm". Only 8 km away is our beautiful Baltic Sea beach, which is also easily accessible via the cycle path. In only a few minutes from the city center, z. B. the harbor, the "German Amber Museum", the "gallery in monastery" and the St. Marien Church. In our small town bus and train connections are within a short time.